A recent article by John Ellis brought the news that Panera has closed its last “Pay What You Want” restaurant. Located in Boston, the bold experiment ended on February 15, 2019. Mr. Shaich has a long record of success in food preparation. Before founding Panera Bread, he owned the bakery chain Au Bon Pain, which operates in 29 states, mostly in large cities and university towns. Au Bon Pain created an Americanized version of a French bakery. Mr. Shaich later sold that chain and founded Panera. Both of his companies operated on a similar premise that people wanted high quality baked goods, and were willing to pay a premium price for them. The two chains were so similar in concept that recently they merged and now offer similar menus. The basic idea behind Panera Cares was simple. The restaurants would serve food similar to the fare at other Panera locations. However, patrons would only pay as much as they thought themselves able to pay. In this way, Panera would be able to provide food security on a small scale to the needy. In 1875, Karl Marx penned his most famous line, “From each according to his ability, to each according to his need.” The idea was not original, but his precise wording is seared into the consciousness of every socialist and pseudo-socialist in the world. It sounds so good. It is so logical, and yet so altruistic. It goes well with other platitudes like, “the wealthiest nation in the world ought to be able to feed its people.” One can almost hear an elevator music version of John Lennon’s Imagine playing in the background. Intentionally or not, Panera Cares tested Marx’s premise. Mr. Shaich believed that those who were able would happily pay something extra to provide food for those who could not afford to pay the full price. He also believed that those who could not afford the full price would pay what they could. 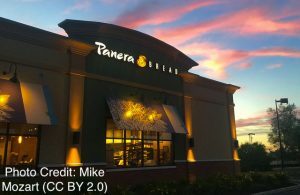 In 2017, Panera was sold to a conglomerate. Mr. Shaich left the company the following year. The new owners pulled the plug on Panera Cares. On February 15, the lights went out. Socialism eats away at the vitals of once healthy economies, be they small or large. The same human and economic forces that ate away the altruism of Panera Cares has consumed Venezuela. The list of economies that have been devastated by socialism is long and growing. The list of successes is blank. Modern progressives – long on emotion and short on analysis – try to place the nations of Scandinavia in the success column. They do not know that they are describing a time that now lies almost fifty years in the past. The “cradle to grave” welfare systems of the sixties and seventies failed as well. While those societies have not restored absolutely free markets, even liberal CNN has to admit that they have moved well to the right. Every group of budding socialists believes that they will avoid the socialist disasters of the past. They are the bright, young, and altruistic people who can make Karl Marx’s goals into reality. While not a Marxist, on some level Panera’s Ron Shaich thought so too. His was not the starry-eyed and empty-headed optimism of modern socialists. The restauranteur was working in an area in which he had broad experience. He had control of all of the necessary resources. He was motivated by the best of intentions. He had the gift of optimism. The need that he was trying to address was real. His plan was limited in scope, but he had plans to grow gradually. If there was any way for such an enterprise to meet that need, Panera Cares should have succeeded. His failure shows the inherent flaw of socialism. This flaw is so fundamental that even a successful practitioner of the free market cannot overcome it. Socialism removes the element of personal responsibility from the recipient. Socialists have a hard time with personal responsibility because it creates inequities. Any system will have those who exercise responsibility and those who do not. Those who are responsible will take whatever initiative that the system allows and prosper relative to those who are irresponsible. The result is inequity. 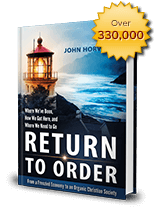 By accepting the fact that those who have “the right stuff” will prosper, the free market inspires people to acquire those characteristics – it breeds responsibility. Socialism spawns dependence. Dependent societies cannot thrive. As the Panera Cares experience shows, they will eventually fail. This entry was posted in Featured and tagged food, Marx, panera, panera cares, socialsim by Edwin Benson. Bookmark the permalink.